A funeral Mass for Passionist Father Alban Harmon was offered Dec. 15 at Immaculate Conception Monastery in Jamaica, N.Y. Father Harmon died Dec. 11; he was 86. A native of New Jersey, he professed his vows at St. Paul of the Cross Monastery in Pittsburgh, Pa., in 1951. 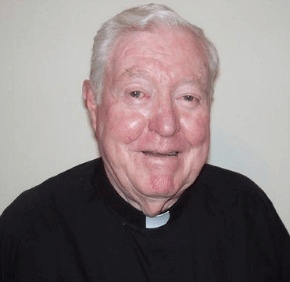 After earning a bachelor’s degree at the former St. Gabriel’s Monastery in Brighton, Mass., and a master’s degree at the former St. Michael’s Monastery in Union City, N.J., he was ordained to the priesthood in 1958. In addition to further study and ministering in formation for the Passionists, he served as a missionary in the Philippines for 17 years, starting in 1968. When he returned to the U.S., Father Harmon conducted parish missions, including in Baltimore, from 1986 to 1987, followed by 13 years in parish ministry in South Carolina. He then returned to Baltimore to serve as parochial vicar of St. Joseph’s Passionist Monastery in Irvington. In Baltimore, Father Harmon also worked as defender of the bond in the marriage tribunal office from 2000 to 2011, when he retired. At the time of his death, Father Harmon was living at Immaculate Conception Monastery.